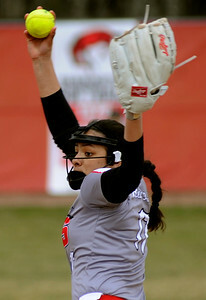 Gregory Shaver for Shaw Media Huntley's Briana Bower throws a pitch in the third inning of a non-conference girls softball game against Barrington Saturday afternoon, March 31, 2018, at Barrington High School. Gregory Shaver for Shaw Media Huntley\s Teagan O"Rilley reacts to getting Barrington's Maria Gryzlo out at third base in the third inning of a non-conference girls softball game Saturday afternoon, March 31, 2018, at Barrington High School. 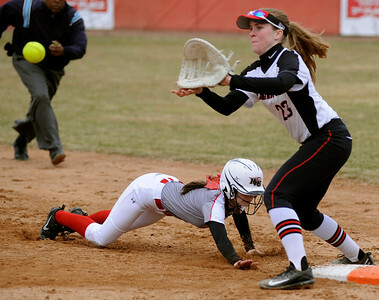 Gregory Shaver for Shaw Media Huntley\s Taylor Zielinski dives back to first base and Barrington's Rachel Mori fields the throw from the catcher Barrington in the fifth inning of a non-conference girls softball game Saturday afternoon, March 31, 2018, at Barrington High School. 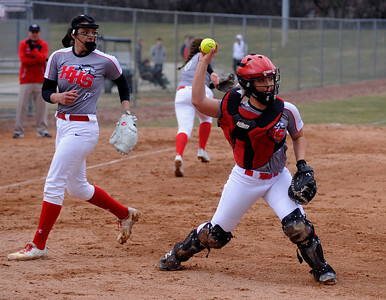 Gregory Shaver for Shaw Media Huntley's Sofia Tenuta throws to first after fielding a bunt in the fourt inning of a non-conference girls softball game against Barrington Saturday afternoon, March 31, 2018, at Barrington High School. Gregory Shaver for Shaw Media Huntley's Briana Bower throws a pitch in the fourth inning of a non-conference girls softball game against Barrington Saturday afternoon, March 31, 2018, at Barrington High School. 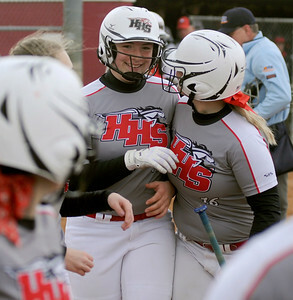 Gregory Shaver for Shaw Media Huntley's Teagan O"Rilley hugged by her teammate, Taylor Pacana, after O"Rilley hit a homerun in the sixth inning of a non-conference girls softball game against Barrington Saturday afternoon, March 31, 2018, at Barrington High School. 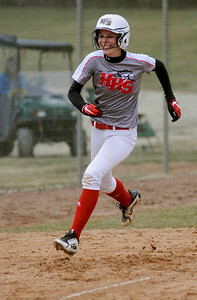 Gregory Shaver for Shaw Media Huntley's Autumn Kasal smiles as she runs the bases after hitting a homerun in the seventh inning of a non-conference girls softball game against Barrington Saturday afternoon, March 31, 2018, at Barrington High School. 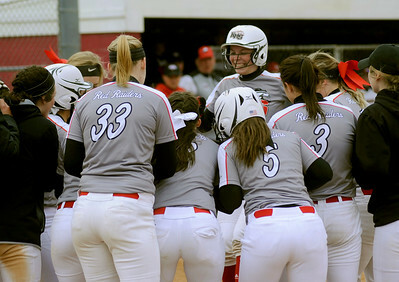 Gregory Shaver for Shaw Media Huntley's Autumn Kasal is greeted by her teammates after hitting a homerun in the seventh inning of a non-conference girls softball game against Barrington Saturday afternoon, March 31, 2018, at Barrington High School. 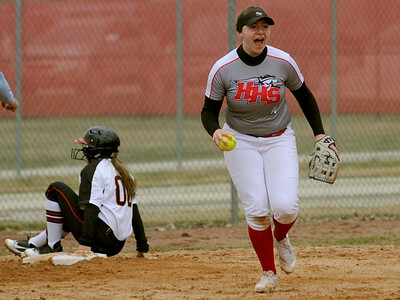 Huntley\s Teagan O"Rilley reacts to getting Barrington's Maria Gryzlo out at third base in the third inning of a non-conference girls softball game Saturday afternoon, March 31, 2018, at Barrington High School.